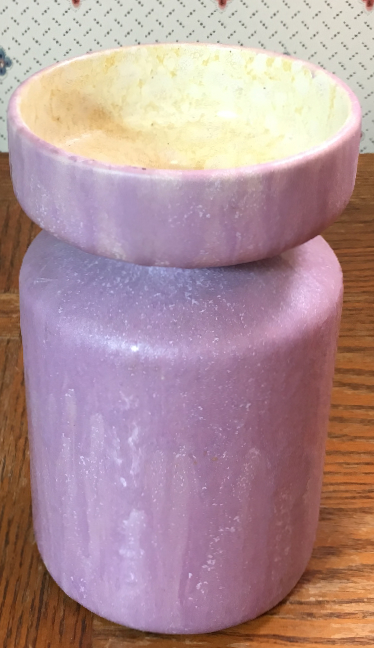 This West German pottery vase is a classic mid century form and glaze from Otto Keramik. The studio was owned by Otto Gerharz, and he did the glaze work while Kurt Tschörner designed most of the forms. That put two of the best in their fields working closely together, and the results were excellent. This version features a difficult glaze to describe. 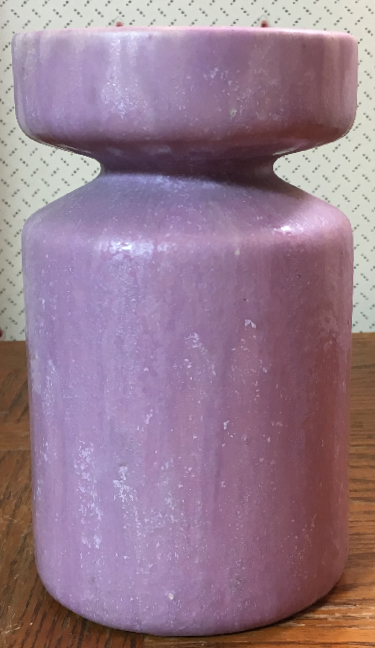 The color is light lavender with subtle variations in shade flowing throughout. The interior glaze is a perfectly contrasting yellow. 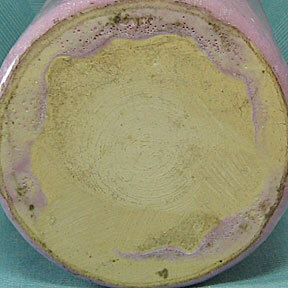 It's an excellent example of an uncommon glaze. Size: Height is about 6 1/2". Price: $135 plus shipping and insurance.